I don’t know about you, but I go through vanilla extract like water. A couple of years ago, I stopped messing around with the small bottles from the grocery store and started buying the 32-ounce bottle from King Arthur Flour. SO much easier than going to the store at least once a week for an insanely overpriced small bottle! I’ve finally taken it the DIY route and made my own, which is ridiculously easy. All you need are some good vanilla beans, your favorite bottle of vodka, and a little bit of patience. Actually making the extract could not be easier. All you need to do is slice up some vanilla beans, combine them with vodka, place in a jar, and… wait. 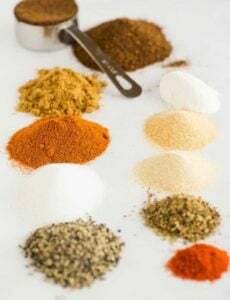 The mixture needs to sit for at least six weeks to be infused, but is even better if you stand to wait a little longer, say a few months. The smell of fresh vanilla extract is positively intoxicating! 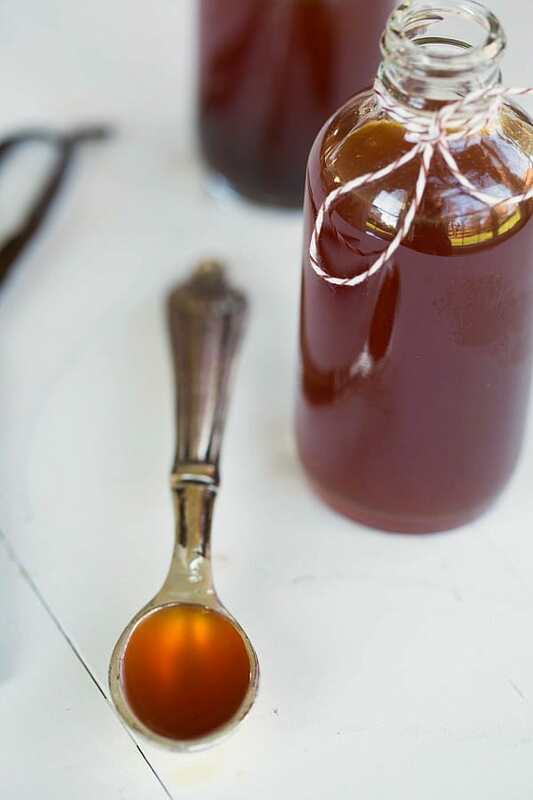 When you’re ready to use the extract (or want to give it as a gift), simply strain it through coffee filters or cheesecloth and fill clean bottles (I bought 4-ounce clear Boston round bottles from SpecialtyBottles.com). You could even drop a couple of vanilla bean pieces into a bottle to keep the infusion going, if you’d like. 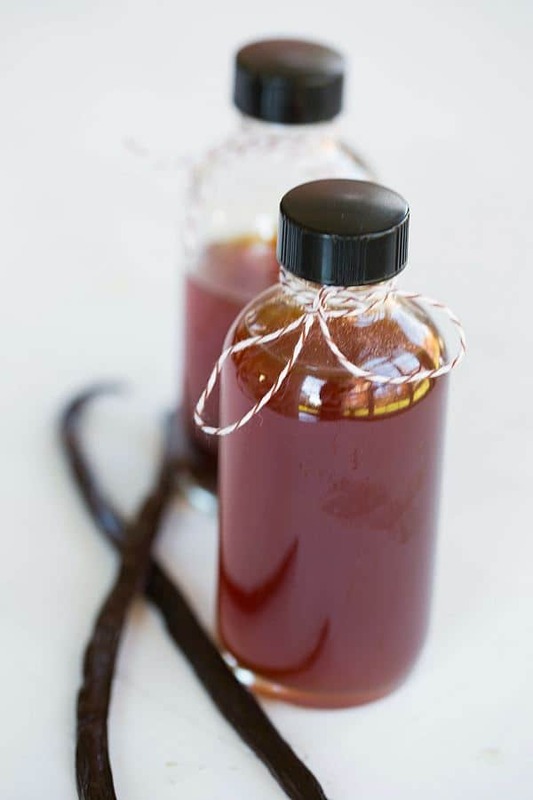 Homemade vanilla extract is such a perfect gift, not only for the holidays, but also has a hostess gift. There are tons of free printable labels online, as well, to spruce up your bottle. With Christmas a little less than two months away, now is the perfect time to get started on some homemade vanilla extract! 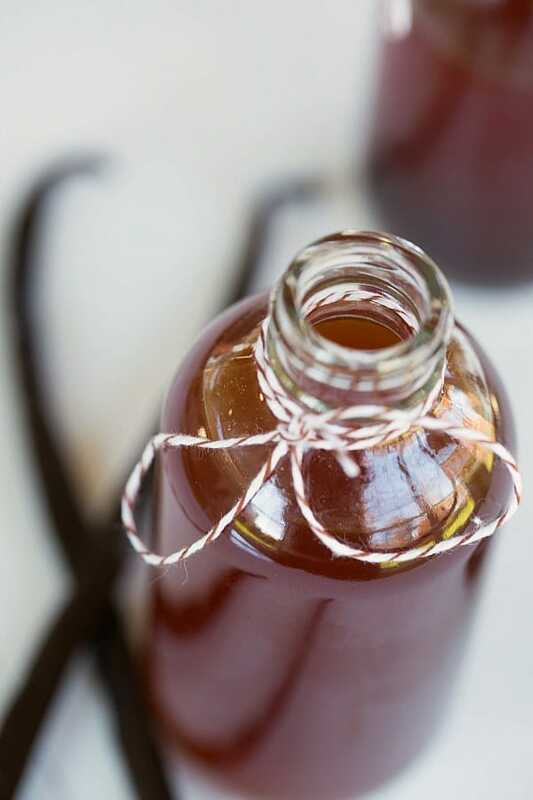 Making your own vanilla extract could not be easier! Grab some vanilla beans, your favorite bottle of vodka and get started! Slice the vanilla beans in half lengthwise. Using the tip of the paring knife or a spoon, scrape out the seeds and transfer to a small saucepan. Cut the empty bean pods into 1-inch pieces and add them to the saucepan. Pour the mixture into a jar with a tight-fitting lid and let cool to room temperature. Cover with the lid and store in a dark place for at least 6 weeks (the longer, the better! ), shaking the jar gently once a week. Line a fine-mesh strainer with 2 coffee filters or 2 layers of cheesecloth, and place over a liquid measuring cup. Strain the vanilla through the filters, then transfer from the measuring cup to a clean jar with a tight-fitting lid. The vanilla extract will keep indefinitely at room temperature. I have a bottle of Everclear on hand. Would that work as well as vodka? I have a question about bottling the vanilla. I do not can anything so am wondering how best to clean my bottles and caps I have ordered to put the vanilla in once I am ready to bottle it. Do they need to be sterilized in some manner. I am wondering about putting the alcohol and vanilla beans on the stove, is this step necessary if I am planning to bottle for gifts given in December (today is August 6, 2018). Hi Nancy, I just wash them (or run them through the dishwasher) first. Heating them on the stove sort of jumpstarts the process, but it’s not necessary. Enjoy! Hi Michelle, I am not sure if this was already mentioned, but can you use flavored vodkas to enhance the vanilla flavor? I know they have several different flavors of vodka now a days and I just wondered if that made any sort of difference in the final product. Thanks! Hi Nikole, You could use flavored vodka if you’d prefer flavored vanilla extract. 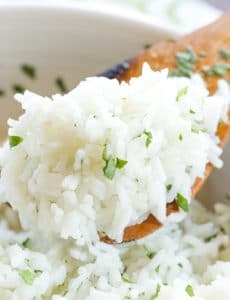 I noticed that KA had a DIY kit for this, and I remembered that you had a recipe/technique for this, and I was thinking of making some. I have a couple of questions – is it really 8 vanilla beans per 8oz? Where do you buy your beans? KA sells Madagascar bourbon vanilla extract in bulk for $9.23 for 8oz, so in order to make it cheaper than they sell it, you’d have to buy beans at 78 cents each (or use less beans. I’m using average price of vodka is $3 a cup). Also, what proof vodka do you use (if it matters)? The cheapest I could find vanilla beans was on the ebay site mentioned above at 80 cents ea. I know I could get vodka a little cheaper by buying in bulk too, but hardly seems worth it if it’s cheaper to buy in bulk at KA or Amazon. Also, wondering if you saw on American Test Kitchen that they rated plain old McCormack’s as the best vanilla to use in baking? Hi Lynne, The amount of vanilla beans is correct. 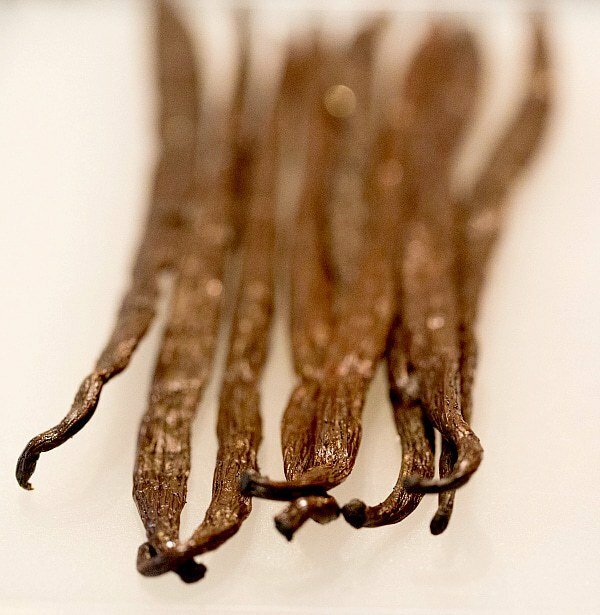 I’ve purchased vanilla beans from Amazon, Penzeys and Beanilla.com. I don’t think that the proof of vodka matters; I’m honestly not even sure what the one I use is. I notice it is cheaper to buy them in bulk. Do they freeze well? Also, how long before vanilla extract expires? Hi Amanda, I have never tried freezing vanilla beans. As long as you keep them packaged well, they should not dry out. Vanilla extract, because it’s essentially alcohol, can last indefinitely, however, I’ve heard that the flavor starts to become compromised after about a year. Ive seen numerous recipes for making vanilla extract, but yours ia the first one that mentions heating it. Everyone else just splits the beans then combines the beans and the vodka, shakes and places in a dark place. Why do you heat yours? Hi Louise, The heat helps to jump-start the infusion process, so that less time is needed in the long run. Is it normal for the vanilla extract to smell more like vodka for the first few days? Yes, definitely. It takes awhile for the vanilla flavor to infuse, which is why it should sit for so long. Thank you for the wonderful pictures and information. Inspiring! We have a year until next Christmas and are getting started now. We ordered some beans from Vanilla Products USA and are chopping them up into 2″-ish pieces and putting them in 750 milliliter bottles of vodka and bourbon. At 20 beans per bottle, that’s a little less than the 8 beans per cup ratio in the article here but it seems like it should be enough, especially given the longer amount of time. Any advice on how long is too long for the beans to infuse in the liquor? Should we strain them out after 6 months or so, or is there no such thing as too long? Hi Matthew, I don’t think there’s such a thing as too long! Enjoy! Question: can i make this with bourbon instead of vodka? or will it only work with the vodka? thanks! This is a great resource! I’m thinking about doing this for favors for my wedding. I want to make 160 small bottles- do you think I could use less vanilla if I let it extract longer (I’m trying to save cost)? I have 7 months until the wedding so I could really let it go for a long time. If anyone has tried using less beans per cup, I’d love to hear more! If this works, then I have (3)20g per vial..So what can I do with this? Hi Suz, I am not sure that vanilla powder would work, since it’s already a byproduct of vanilla beans itself. It is certainly not economical to make homemade vanilla extract with beans purchased from the grocery store; that is why I recommend buying them in bulk online. Hello, I just made my own vanilla extract, and I am just wondering if the straining step is essential? 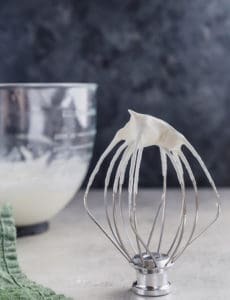 Hi Jo, Straining will get rid of the vanilla bean flecks, which give you a cleaner extract, but if you don’t mind the flecks, you don’t need to strain. So, is this always dark brown in color? How do you get the clear vanilla extract-so good for wedding cake frosting? Hi Molly, Yes, the vanilla beans impart a brown color. 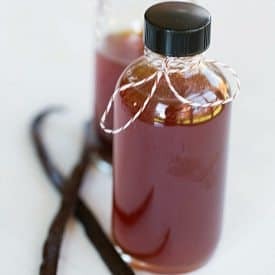 It is my understanding that clear vanilla extract is made with artificial ingredients, as there is no way to strip out the color from the infused vanilla beans.